Recovering from substance abuse can be tough on its own, but the added weight of financial pressure can make it that much harder. Luckily, there are a number of things you can do to bring in some cash flow while you’re still recovering. However, it is important to remember that re-entering the workplace can produce a lot of occupational stress. Remember to prioritize self-care and use the coping skills you’ve learned to help navigate this stress to ensure you stick to your sobriety. Here are some opportunities you might want to look into as a recovering addict. Do you have any sort of creative, handicraft skill that you just love to practice? Whether it’s making scarves or creating art, there is likely a buyer out there who is looking for the exact thing you’re good at making. These skills can easily be translated into a business model with the modern innovation of sites like Etsy. According to Fit Small Business, Etsy is a wonderful site that allows you to sell to customers around the world relatively easily without even needing to maintain your own website. Now, it is easier than ever to connect your products with the buyers who are looking for them, which is good for both you and your customers. You don’t even have to leave your house to profit from your skills. However, selling on Etsy successfully does take a little know-how. Bplans recommends focusing specifically on your product pictures, which are the first thing many potential buyers are going to see. Lighting and background are important, but can be solved relatively easily by using a white sheet and natural sunlight. Did your parents make you take hours of piano lessons when you were a kid? Now is the time to finally get the payoff. One of the best things about teaching a musical instrument is that there is usually little start-up cost. All you need is a little room in your home and an instrument to get started. You don’t have to be the next Mozart either. You simply must be better than those that you are trying to teach. So, if your skills are rusty, you might try teaching young children first. Generally, kids can begin playing string instruments before even the age of 6, though woodwind and brass instruments, which require breath control, will probably have to wait until they’re 8 or older. To be a successful music teacher, it is important to stay enthusiastic and prepare your lessons beforehand. With the ability to learn many instruments on the Internet, it is important to figure out what you can give your students that the Internet cannot. Often, this involves personalizing the lessons to their taste and skill level. However, this does not mean that you shouldn’t prepare ahead. In fact, preparing ahead is important, but what you prepare should keep your student in mind. If you love animals, this is a wonderful opportunity you might want to look into. People with pets go on trips and vacations all the time. While they’re gone, they need someone to watch their pets for them and ensure that they are still cared for. 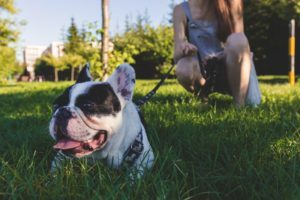 Pet sitting is not actually that hard to start, especially with so many pet sitting companies out there that can help you get started. In fact, you can even get training, information and certification online. Finding a job while in recovery can be tough. While employers legally cannot discriminate against you because of a past addiction, the gap in job history and stigma associated with substance abuse can make it difficult. While you’re looking for a job, it is likely that you still have bills to pay and a family to support, not to mention looking out for yourself. Luckily, there are a number of ways you can make a living while you wait for the perfect full-time job to roll around.